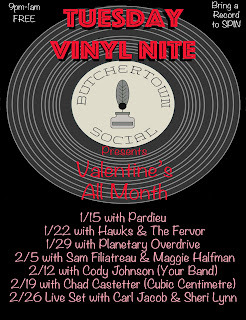 Tuesday Vinyl Nite Presents: Valentines All Month! 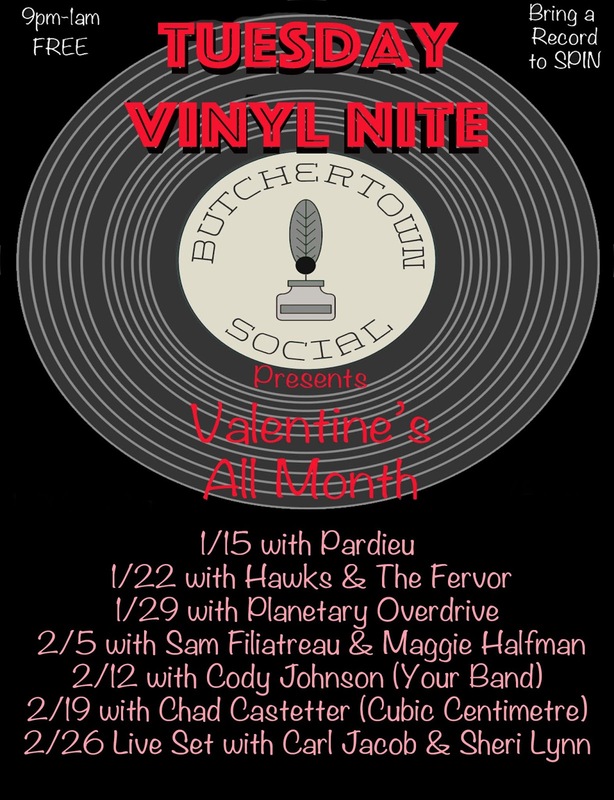 Along with 37FLOOD, we sponsor Tuesday Vinyl Nite at Butchertown Social (1601 Story ave), a weekly free event with guest DJs and food and drink specials every Tuesday from 9pm-1am. We invite anyone to bring in a record to spin and our guests get an hour DJ set as well. Now through the end of February, we are presenting 'Valentine's All Month' (but its actually one and half months!) 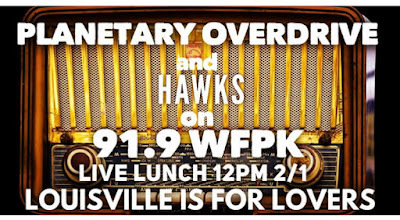 and each Tuesday we are having an artist from the new Louisville Is For Lovers Valentine's compilation as our guest DJs! 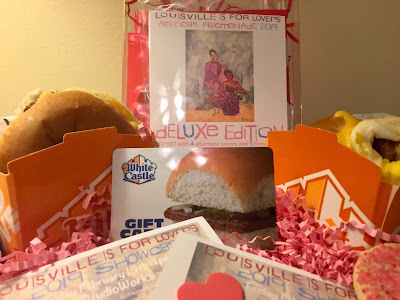 We are very excited to announce Volume 14 of the Louisville Is For Lovers Valentine's Series, American promenade, has just been posted for pre-orders! 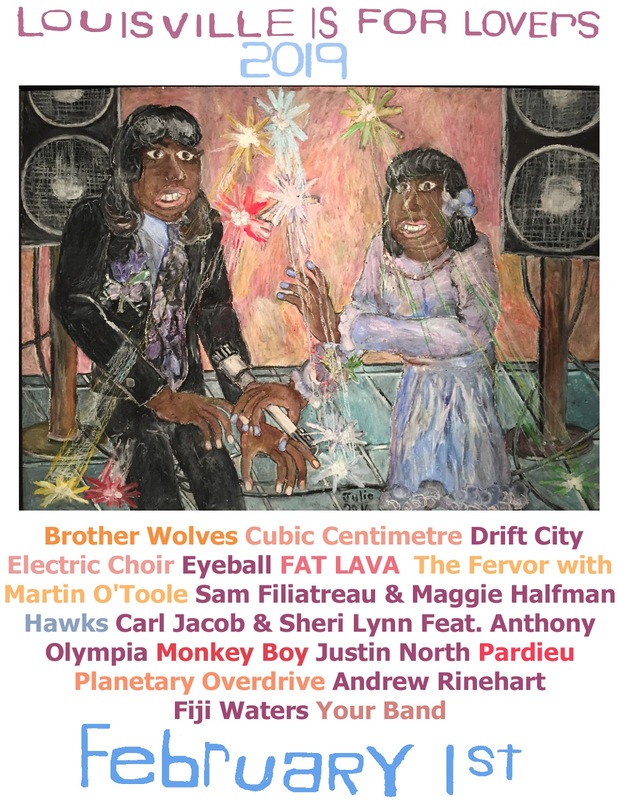 The 2019 edition will be available digitally and on CD on February 1st and features 17 all exclusive tracks by Louisville artists! Full track listing and further information here. MC HIJACK just released a new Christmas Track for FREE on their site called Jingle Bells Y'all! Happy Holidays Y'all, from Louisville Is For Lovers! 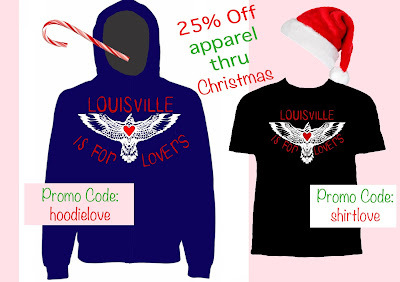 All our apparel is 25% off till Christmas including T-shirts (use promo code shirtlove) and hoodies (use promo code hoodielove)! Visit our merch shop here.